IMA Beast Hunter has Arrived! The Beast Hunter mid-range crankbait, developed by legendary Japanese pro Jun Shoji, is the newest offering in IMA’s power-fishing arsenal. Shoji guides on Lake Biwa in Japan, where a world record-tyinglargemouth was caught in 2010. With that laboratory at his disposal, he set out to create a lure that can dominate the 10 to 13 foot range where most of Biwa’s monsters are hooked. He’s succeeded in creating aproduct that will successfully hunt down those beasts. Designed specifically to come through grass, without hanging up or losing effectiveness, the Beast Hunter coordinates the size of the lure’s body and thickness of its sides with the length and width of the lip. On 14-pound fluorocarbon it dominates the 10 to 13 foot range. With a very natural wobble – not too wide, not too tight – a subdued knocking sound not to turn off spooky bass, the Beast Hunter is a power bait that doesn’t overpower the situation. Its design incorporates a small fixed weight inside, which maximizes diving depth while preventing the lure from tumbling and getting fouled on the cast. The sidewalls are 2.0mm thick which distributes theoverall weight proportionately throughout the body enabling it to stop quicker as it doesn’t glide forward. The diving angle is also tuned so when you come in contact with the weeds, softly lift up on the rod.The Beast Hunter will back slide and glide right over the vegetation. 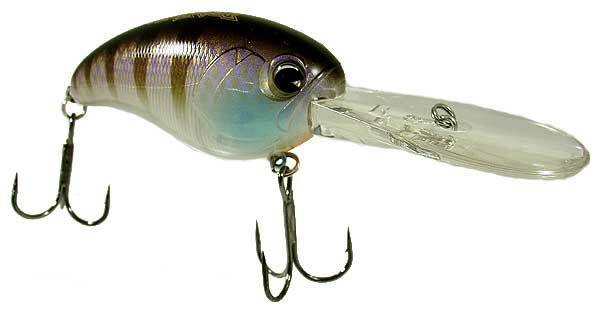 Every aspect of this lure is made to maximize performance. Although designed by Japanese Pro, Jun Shoji, the Beast Hunter has been successfully tested by the ima pros here on the U.S. lakes. The Beast Hunter will successfully hunt down the beast of your dreams. The “buoyancy level and the diving angle” are key factors of being able to come through grass. The Beast Hunter has a perfect combination of the two so when you come in contact with the weeds, softly lift up on the rod. The Beast Hunter will back slide and glide right over the vegetation. At 2.0mm thick, the sidewalls are designed much thicker than other baits. This distributes the overall weight proportionately throughout the body enabling it to stop quicker as it doesn’t glide forward. The thickness also helps it float faster. The design incorporates a small fixed weight inside, which maximizes diving depth while preventing the lure from tumbling and getting fouled on the cast. From the body design to weight placement, every aspect of this lure is made to maximize performance. The hooks are shielded by the body and lip to keep it weedless without hampering hooking ability. This also allows for dart like casting for great distance.